Lisa Thomaidis (left) led Canada into the quarter-finals at the Rio Olympic Games. (Photo courtesy of FIBA). The run in Rio has wrapped up for our contingent of University of Saskatchewan Huskies alumni and coaches at the Summer Olympic Games in Brazil. Former Huskie wrestler Jillian Gallays was eliminated in the qualification round in the women’s 53-kilogram freestyle competition on Thursday. The 29-year-old two-time former national university champion from St. Brieux, Sask., was defeated by North Korea’s Jong Myong-suk in her opening-round match. Taryn Suttie, the other former Huskie taking part in individual athletic events, placed 28th in women’s shot put on Friday, with a best toss of 16.74 metres. The 25-year-old from Hanley, Sask., competing in her first Olympics, was a two-time national gold medalist for the Huskies. Former Huskies volleyball player Gavin Schmitt’s first Olympics ended in Wednesday’s quarter-finals when Canada fell 3-0 to the defending champions from Russia. It was the first time Canada’s men’s team had qualified for the Olympics in 24 years. The 30-year-old Schmitt, who grew up in Saskatoon, told Darren Zary of the Saskatoon StarPhoenix that his first Olympics might also be his last. 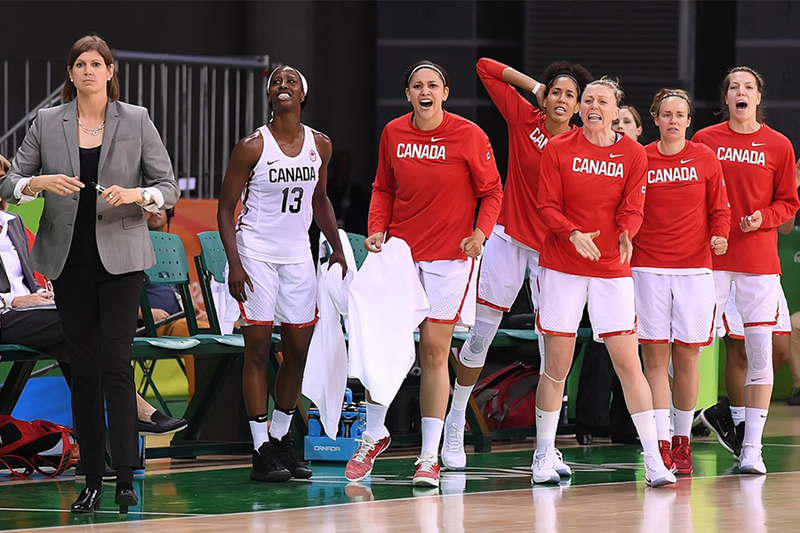 Meanwhile, Huskies women’s basketball coach Lisa Thomaidis capped off a remarkable run as coach of Canada’s national women’s team with a tough 68-63 loss to France in the Olympic quarter-finals on Tuesday. Under Thomaidis, who led the U of S Huskies to their first Canadian university championship in March, Canada finished fifth in the 2014 world championship, first in the 2015 Pan-American Games and will officially be ranked fifth at these Olympics. Thomaidis described the quarter-final loss as “heartbreaking” in her interview with Doug Smith of the Toronto Star. Meanwhile, two former Huskies are now preparing to take part in the Paralympic Games that begin on Sept. 7 in Rio. Former Huskie Erica Gavel, a 25-year-old native of Prince Albert, will compete in wheelchair basketball for Canada. Fellow former Huskie basketball player Katie Miyazaki will be a member of the Canadian coaching staff.